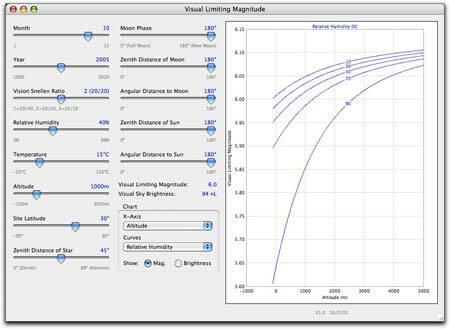 VisualLimitingMagnitude is a small application that implements Bradley Schaefer's visual limiting magnitude algorithm with a visual interface. This is based on the article in Sky & Telescope, May 1998, p 57 - 60. 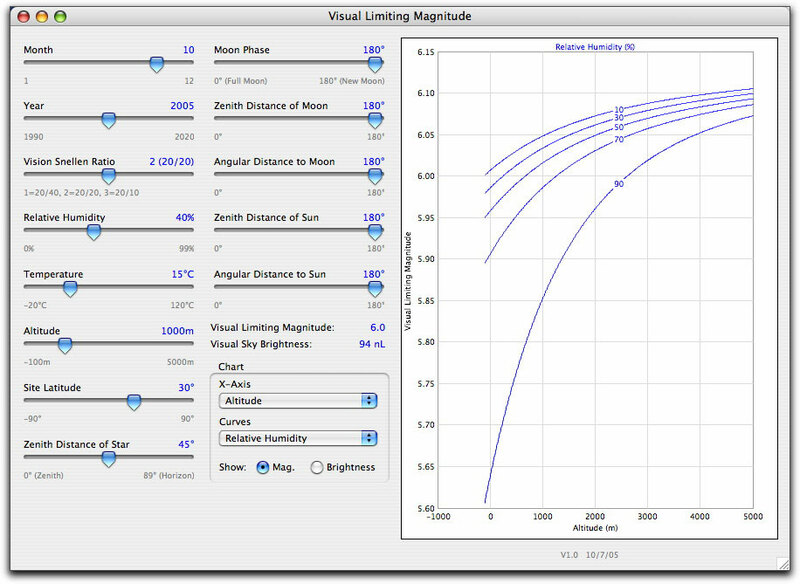 VisualLimitingMagnitude is Freeware. Use it at your own risk. If you would like to support my astronomy obsess..., er hobby, and feel this application has some value to you, I always gratefully accept donations. Creating software like this requires lots of time and expensive software and equipment. Note: Although VisualLimitingMagnitude is freeware, please do not post the files anywhere else without permission. Feel free to point anybody at this page or publish the URL publicly.